Law firms need to prioritize cybersecurity and begin taking preventive measures. Ignoring these realities will expose your firm and clients to potentially significant liabilities. Ignoring these realities will expose your firm and clients to potentially significant liabilities.... The new Australian Cyber Security Centre will draw on the expertise from the ICT community, law enforcement, defence, universities and security agencies, as well as international partners, to increase the skills and capabilities needed to protect and defend our interests. Cybercrime has now become a business which exceeds a trillion dollars a year in online fraud, identity theft, and lost intellectual property, affecting millions of people around the world, as well... In the 2010s, the vocational advice for young professionals could very well be, “Consider a career in cybersecurity.” The following are six reasons why. The following are six reasons why. 1. 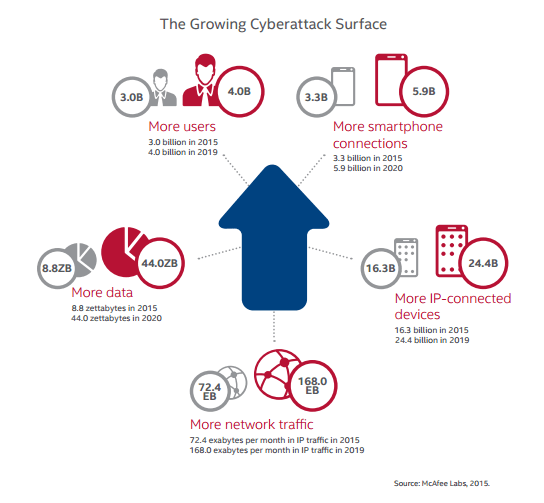 Cybersecurity has become a big deal. Corporations have begun to worry about cybersecurity risks. In response, some major law firms have recently established or significantly bolstered practice... Prior to returning to Harvard, Lessig was a Professor of Law at Stanford Law School (where he was founder of Stanford's Center for Internet and Society), Harvard Law School (1997-2000), and the University of Chicago Law School. Six Skills You Need to Succeed in Cybersecurity One reason companies can’t find the cybersecurity professionals they need is that there just aren’t many true experts. If you want to be one, here’s the kind of skills and personal traits you need. Get the expertise you need to succeed. Cyber security is a growing issue for individuals and businesses alike. As a cyber security graduate you’ll have the skills demanded by a diverse range of industry and government sectors. Prior to returning to Harvard, Lessig was a Professor of Law at Stanford Law School (where he was founder of Stanford's Center for Internet and Society), Harvard Law School (1997-2000), and the University of Chicago Law School.